A collaboration between Field Day Lab and the Desert Research Institute at the University of Nevada. This game will challenge players to colonize the galaxy, one garden at a time. A collaboration between Field Day Lab and Saha Lab at the University of Wisconsin. 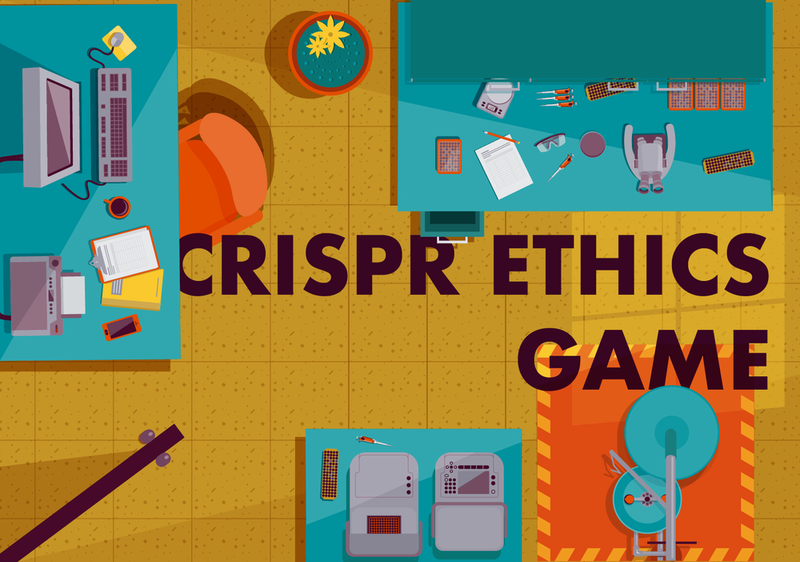 This game will teach players about the astounding potential and ethical challenges of gene editing. Working with Dial House I helped develop a brand strategy for Ti Ora, a recent acquisition of JAB Holdings. Botanic is developing a set of tools that will make authoring and deploying chatbots, voice assistants, and avatars intuitive and accessible without coding. This tool will be open sourced as part of the launch of SEED Token. As part of the Oakland Design League I helped develop a new content strategy and migrate the outdated Oakland city site to a new responsive, intuitive, and accessible platform that provides better service for all Oakland residents. I specifically worked on the two watchdog groups of the city: Oakland Public Ethics Commission and the Oakland City Auditor's Office. As part of the creative services team at Botanic I helped develop a virtual interview coach as a proof of concept for the Skype Bot Platform. The goal of this project was to demonstrate the possibilities of video call interactions with a 3d avatar and to integrate machine learning technologies like sentiment analysis in real time. The Grand Challenges is an innovative grant program designed to connect the community and researchers in order to make breakthroughs in education. The program was a commission by the University of Wisconsin School of Education, and the branding and identity were created with Field Day Lab. Mental health researchers at Monash University in Melbourne, Australia wanted to make a bot to provide a confidential, secure, and comforting companion for at-risk young people. Botanic developed a chatbot that would provide an encrypted conversation using Signal, and use methods like cognitive behavioral therapy, mindfulness, and guided meditation to help youth. Field Day Lab developed a VR Experience for use in a museum environment to teach middle-grade students about neutrinos and the cosmic phenomena that produce them. This experience led the user on a ride from the South Pole to a Black Hole and back again.